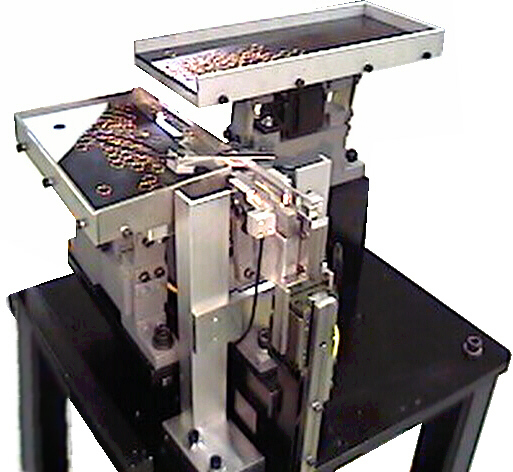 The bulk hopper provides parts to the recycler tray. The level of parts in the recycler tray is automatically maintained. 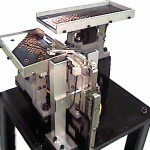 Parts are fed to the custom orientation tooling on the orientation track. Parts in the wrong orientation are diverted back into the recycler tray. Parts in the proper orientation are fed out the end of the orientation track. 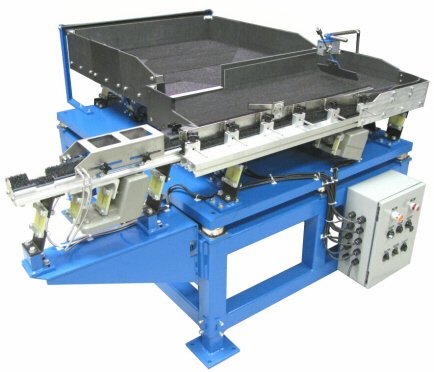 CDS Manufacturing’s linear vibratory parts feeders are available in table top models, machine base mounted systems, miniature part feeder configurations, single and dual stage part recycler models, and can be equipped with pick and place and robot installation tooling. 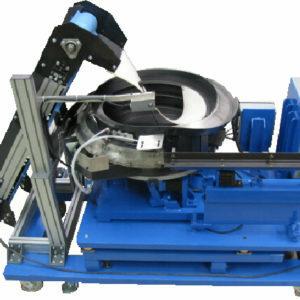 For simpler applications, check out our Vibratory Bowl Feeder Systems. 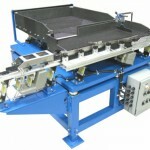 Contact Us today for more information about our linear vibratory parts feeders.